Summer, the hottest season of the year we all want to go for a thrilling holiday and beach is the best place for this. Have fun with your friends in the midst of beach waves and sunbath. But out of all these enjoyments don’t forget about your skin, hair and overall beauty. 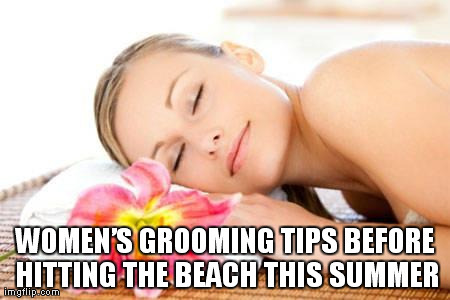 So stunned the eyes of everyone in this summer holiday by using our grooming tips before hitting the beach. When we think about beach place the first thing which visualizes in our mind is beautiful ladies roaming around the beach side and inside the water pool and sea in beautiful, hot and charming bikini dresses. So you also have to prepare yourself to fit into an alluring bikini dress to compete with other girls on the beach side. Do you have a bikini figure? Is your skin is quite ready to expose it in a short dress? Have you groomed your hairs for the beach place? If the answer of all these questions is NO and you are afraid that you have to feel shy on this summer holiday beach trip, then stop worrying further as here you will get every solution of your problems. We all want silky, clear, charming and bikini figure but do we really blessed with these, the answer is no. Most of us are not blessed with all these beauty aspects naturally. 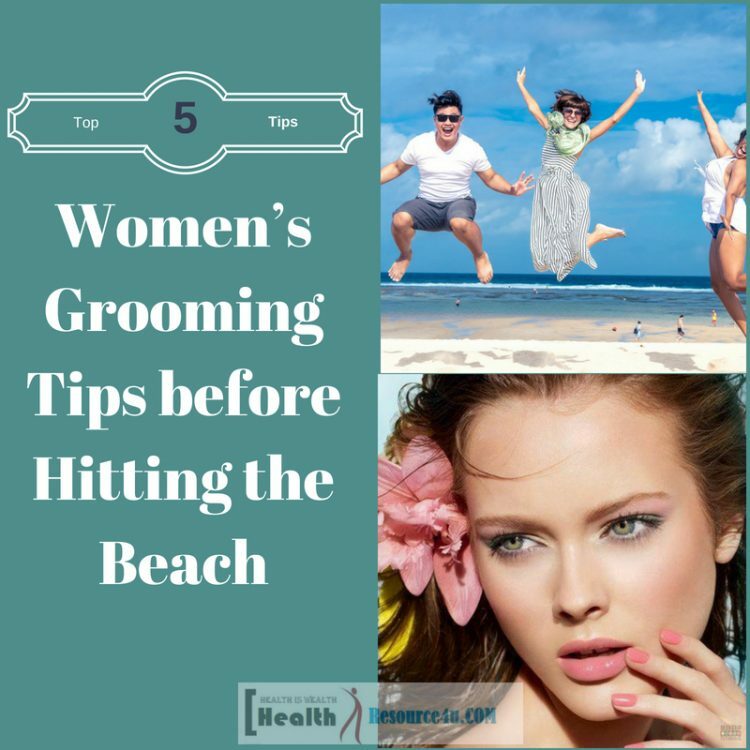 However, you can groom your skin, figure, hairs with some best tips which you should never miss before you hit the beach. Below are the top summer tips that you must try in order to groom yourself. Now when you have decided to spend your summer holiday in the beach-side then make sure that you have a flatter stomach or belly otherwise you will feel odd in the bikini dress. In order to get in to fit in a bikini you need to have a flattened body and this starts from your stomach. This preparation you should start before two to three months of your holiday date. You can join a gym for this to take the help of a trainer over there who will guide you that which workouts are especially for stomach fitness. The other option which is in your hand is to work out in your home place. There are many effective workout videos that you can easily get online. These videos are prepared by the expertise trainers who guide you step by step. Whether you are doing exercise at home or in a gym place make sure you are consistent in it by timing and schedule otherwise you will not be prepared to fit for the bikini dress on time. While wearing a bikini, your feet will be the most exposed part of your body from thigh to foot. So you have to ensure that it looks silky, flawless, moisturized and attractive. A medical pedicure is the best treatment process to convert dull, patchy looking feet into an attractive look by making it smoother, moisturized and hydrated. Remember the skin of your feet is the thickest one with a comparison to the skin of all over the body. This is the reason it doesn’t get moisturized easily and normal body cream that works effectively in other places don’t work here and cannot removes its dryness with a single coat. So you need to give extra care to your feet skin by using adequate coats of body lotion or moisturizer. Make sure before bath you are applying a good essential oil in your feet as it will help to keep your skin hydrated and will not let it dry even after the use of soap during the bath. After bath nourishes your feet with a rich moisturizer. You will find that with regular care your feet become the special charm of your body. Start grooming your feet at least two months before your scheduled beach holiday. Pedicure lasts longer than the manicure treatment so even if you are going to the salon just before few days of holiday that is enough to keep your feet in good condition. As your face is going to be in the direct contact of sea salt water which is not good for the health of skin so you have to be prepared for it beforehand when you actually hit the beach side. 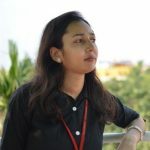 Also, suntan and sunbath are not good for the facial skin for a long duration so it’s better to keep your skin prevented by theses issue along with proper face care. It’s better to go for facial before your holiday as it will keep your face look clean, charming and healthy. Make sure that you are choosing the microdermabrasion facial as because this facial technique cleanses your deep pores, massages your face thoroughly to stimulate its blood circulation and drains out the extra fluid in the skin which causes pore clogging and breakout. This facial will provide radiant looking, firm and tight skin. After face now its turn for your hair care. Yes, just like face your hair also needs necessary care otherwise harsh sea salt water can damage it badly. Make sure that your hairs are not dry and full of the split. One expert hair specialists suggest applying oil-based products for hair as it keeps your hair, healthy, dense and moisturized along with beautiful appearance. Also, don’t forget to wear a hair mask to prevent from sun damaging when you enter the pool or sea water. Most of the women think that haircut is needed on returning of their beach trip which is not true; in fact, the reality is that a hair-cut before your beach trip protects your hair’s health and keeps it in a better condition. Our hair easily gets dry and loses its essential moisturizing content when comes in the direct contact of sun rays or when you spent more time in the sea and pool water. So it is essential to use a good conditioner when you are about to keep your hairs wet and while taking sunbath to wear a big hat so that it can cover well to your hair. A hair color can increase your beauty twice and thrice so you can plan to give an attractive hair color before you hit the beach to spend your summer holiday. Coloring in the salon is good just before one or two weeks of holiday. For protecting your hair color from suntan or damaging only use high-quality products and cleansers and cover your hair when you are enjoying the sunbath. Sea salt water is mainly rich with chlorine which is not good for the health of your hair as it can easily harness its moisturizer and makes it dry and dull looking. After bathing in the sea water it is essential to have a cold water wash of your hair as it will stimulate your hair follicles and help to keep it protected and healthy. This way can prevent your hair from getting harmed by harsh sea water. If you think that your hair is a bit damaged after returning from your beach trip then it’s better to give a necessary haircut as this will help hairs from further damaging and promote the growth of healthy hairs. Manicure is the popular technique of your hand care which transforms the look of your hand by making it super silky, smoother and shiny. So it is essential for the bikini dress that you are prepared by all over part of your body. Just go for a professional manicure in as along as a couple of days before you hit the beach side as it will last longer and stay protected. Crystal finish on the top layer while manicure keeps it protected from the UVA and UVB rays of the sun and also prevents the fear of discoloration in the suntan. So in order to get yourself, a perfect bikini look manicure is must for you and cannot be compromised in any condition. It’s really difficult to wear a makeup amides of seawater, sweat and in sun burning but the good news is that even in this negative environment you can get smudge-free, alluring eye makeup with a waterproof mascara. These mascaras are mainly prepared for the waterside these are water resistant. So give your eyelashes an attractive look by applying waterproof mascara. Eyes are the most beautiful part of a face but what about those ladies who are not naturally blessed by big and beautiful eyes. Eye mascara gives the eyelashes bigger, dark and classy shape that helps to enhance your beauty twice. Use good waterproof mascara just before one hour when you hit the sea water. It will last for a longer duration without smudging. A loose body and mussels really don’t compliment to a bikini dress. So my dear friend if you want to stun the eye of everyone on the beach side then make sure your whole body is perfectly toned up before you hit the beach-side. Toning of your body increases your glamour when you wear a bikini. There are many workouts that stimulate the blood cells and make your skin more smooth, charming and tight. Also, you should apply whole body deep cleansers to exfoliate your skin cells and removes the skin impurities and dirt from deep pores. Whole body toning is another important essential preparation for your summer holiday. Imagine a lady wearing a bikini with hairy skin, isn’t it looking dull and shameful. Yes, it is so. So make sure that you go for a professional wax at a salon just before two to three days of the holiday date. Waxing removes the skin hairs from the deep roots this is the reason it takes a very long time to regrow new tiny hairs. So prevents the fear of making you ashamed in the bikini dress due to the hair on the skin. Apply a good body lotion after waxing to prevent rashes, burning, and redness associated with this hair cleansing process. Apart from this application of lotion will keep your skin moisturized and glowing. Spray tans are the great source of protection against the sun tan. It is easy to apply and stay for a very long time to ensure the protection of your skin from redness, dryness, and rashes caused by sunbath. So now enjoy the beginning of few days of your beach holiday under the sunbath and tan fearlessly. There are several models of spray tan in the market, use only the best and reliable one as because a cheap quality spray tan can hamper your skin beauty also there will be no guarantee of your skincare and protection while taking a sunbath. As per the type of your skin and your sensitivity towards fragrance select the spray tan which would not be alarming for your skin and nose. Apply it when you come out of your holiday home and feel and enjoy each moment of your beach holiday with your smart, glamorous and protected look.